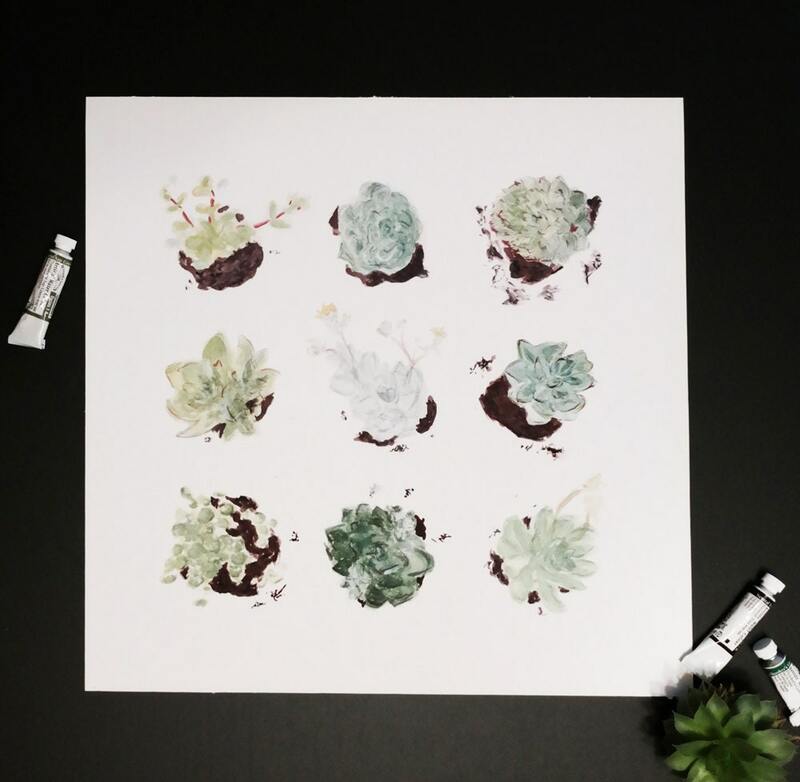 This succulent print is a modern take on vintage botanical prints: nine succulents sit on a crisp white background ready to bring some life to your walls. 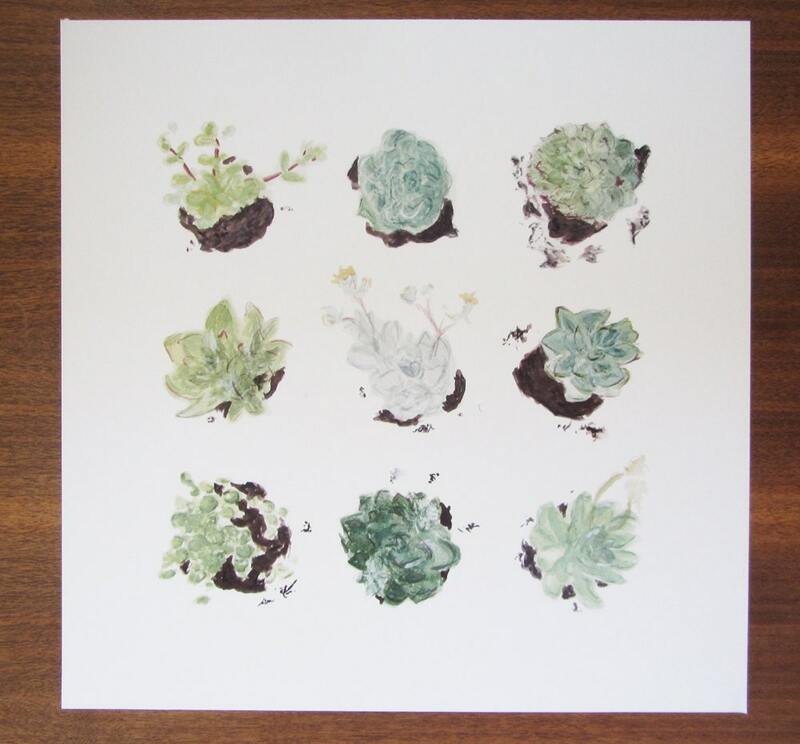 The perfect modern wall art for plant lovers and succulent killers alike to create a jungalow inspired vibe. 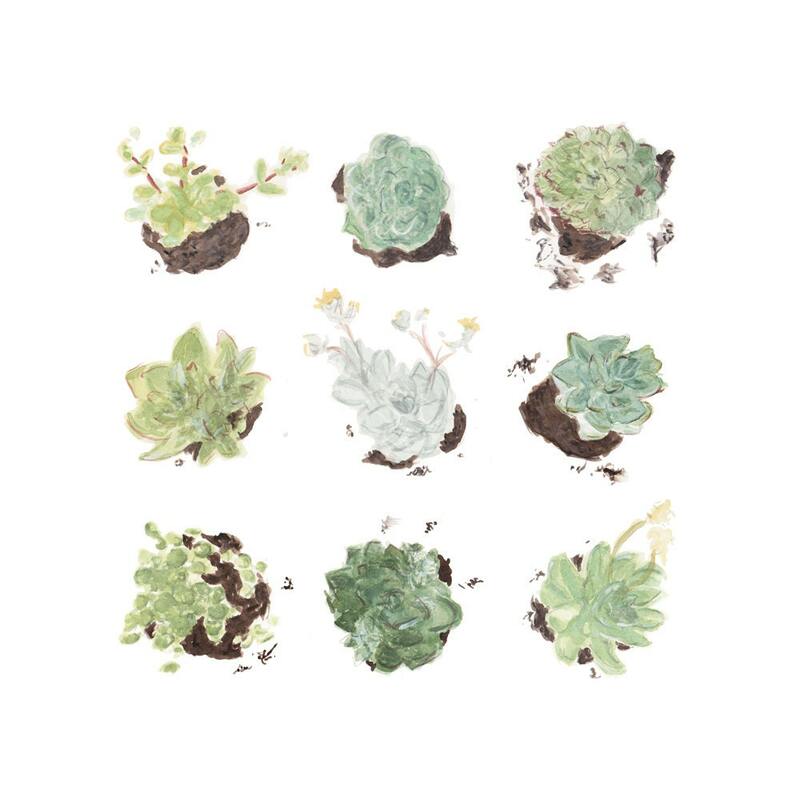 This succulent print is available in two sizes. 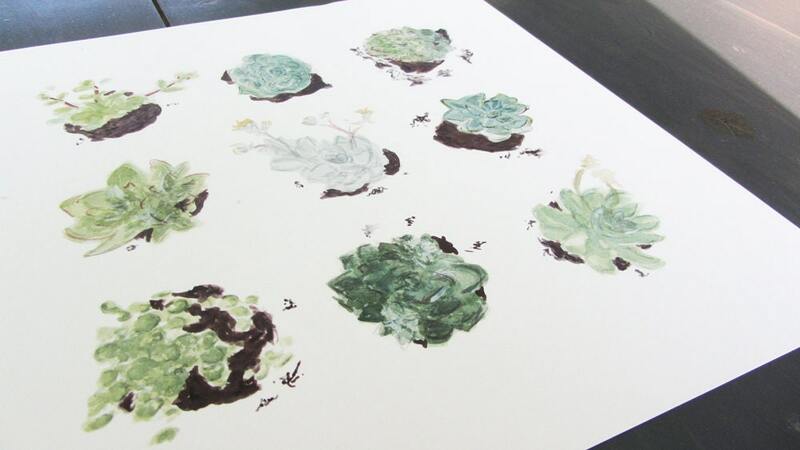 It is an art print of an original succulent painting, digitally printed in-house using pigment inks on acid-free paper for longevity and accuracy in reproducing the original watercolor botanical art. A great gift for your favorite plant lady! Striped Cat Studio is a bright and playful line of products featuring watercolor illustration by Kate Wong. Our cards and prints are created with an eye towards vibrant color and whimsical style that remains grounded in real-world inspiration. Thanks to this blend of quirky sophistication and careful attention to detail, Striped Cat Studio's variety of lively stationery and wall art provides each customer with a healthy dose of cheerful whimsy. Striped Cat Studio cards and prints are produced in-house with pigment inks on acid-free paper to create a vibrant, long-lasting representation of the original watercolor art. More information about illustrator Kate Wong and her work can be found at her portfolio site, katewongonline.com, where she also offers fully customized products.